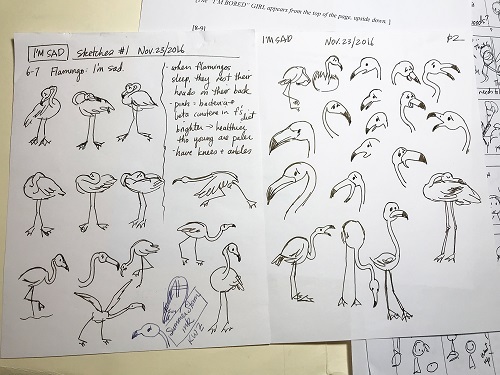 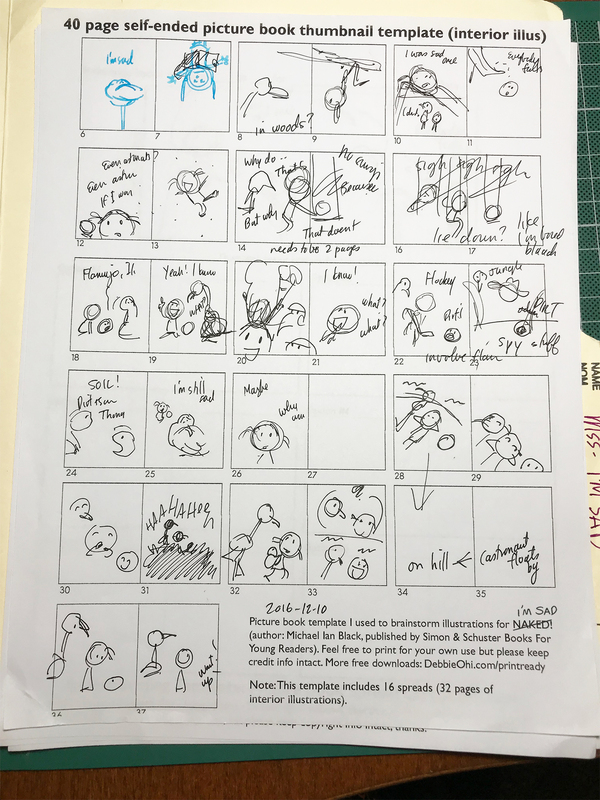 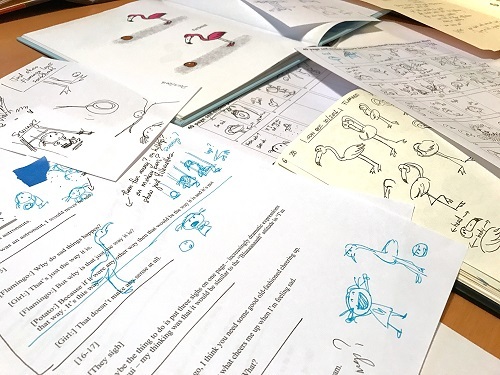 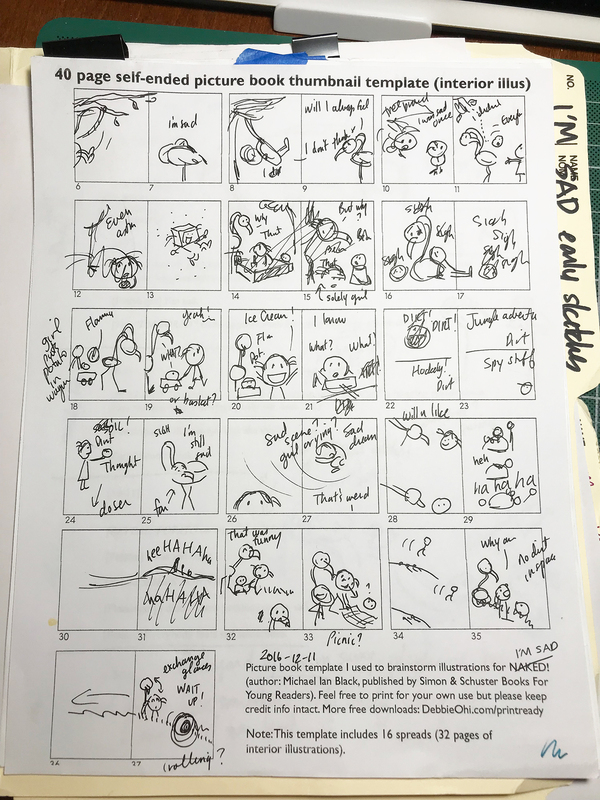 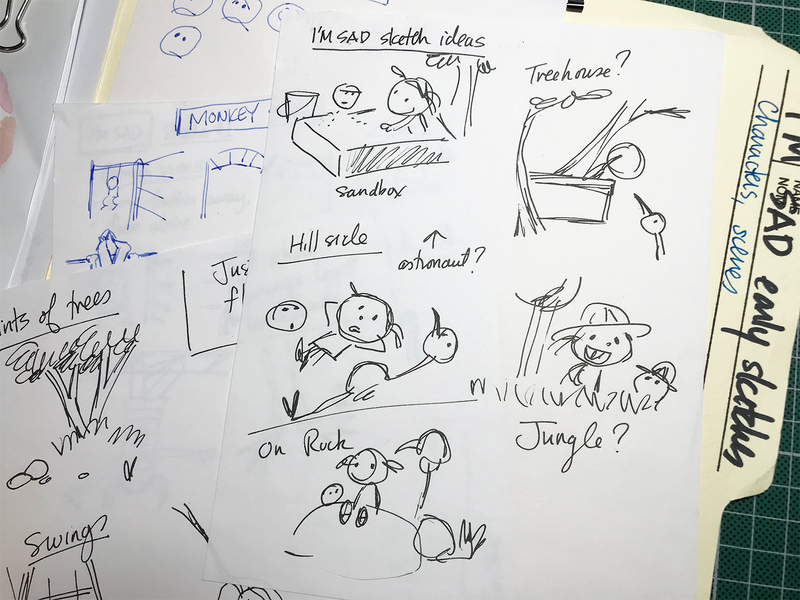 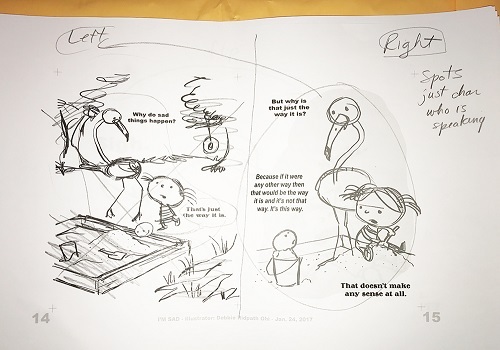 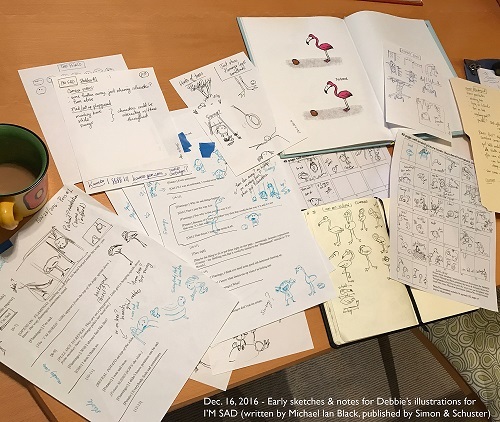 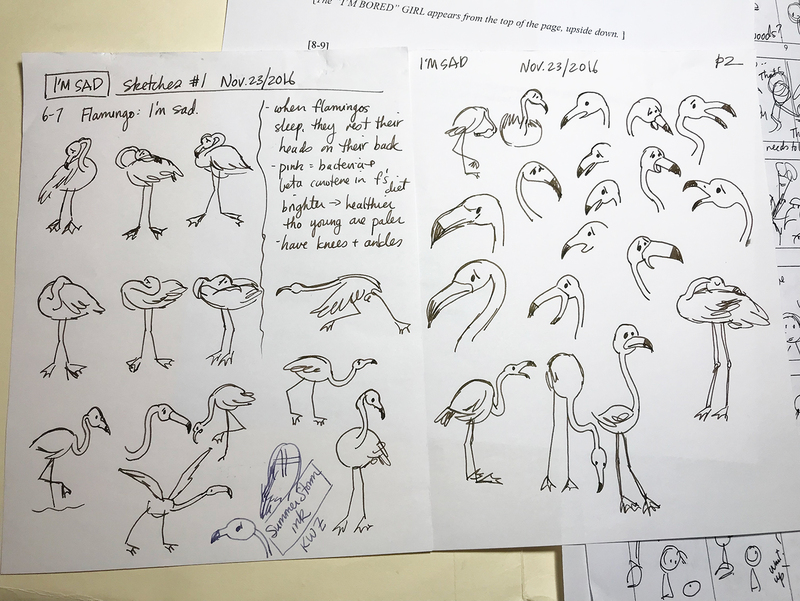 Debbie: “Early sketches of the Flamingo. 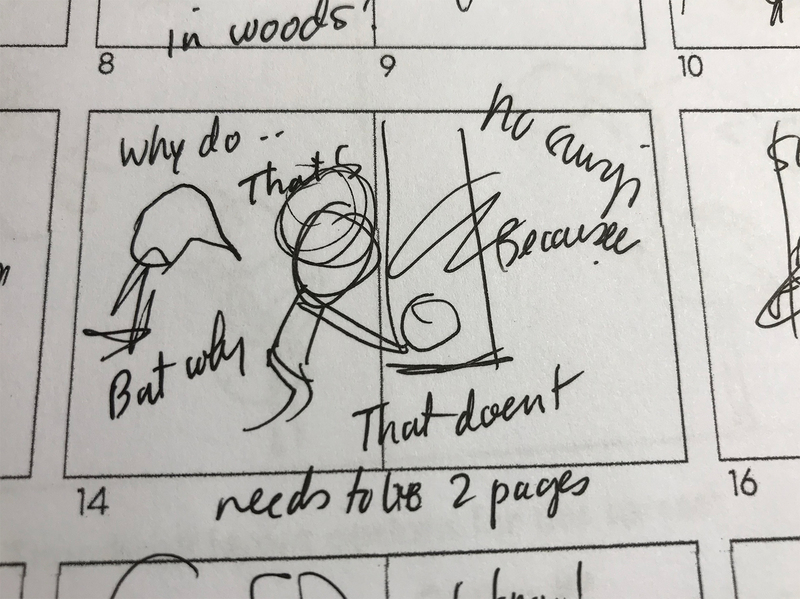 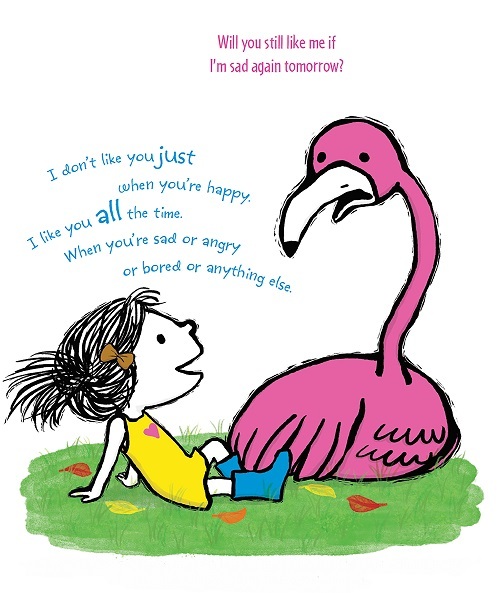 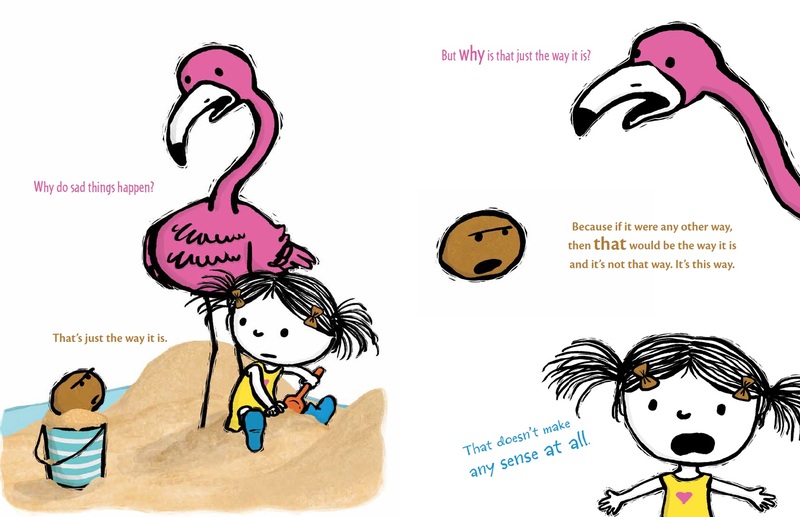 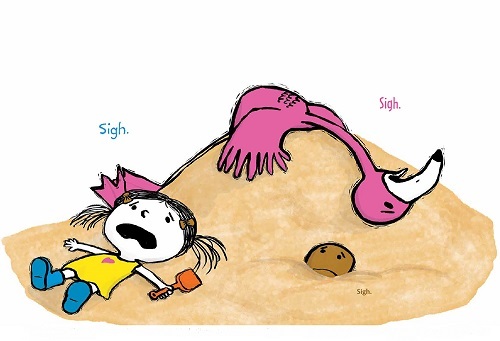 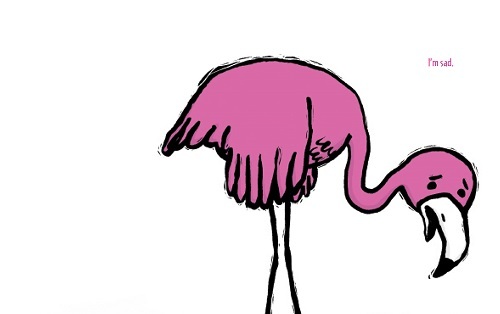 When I drew the Flamingo in I’m Bored at the end, I had no idea that this would turn into a series. 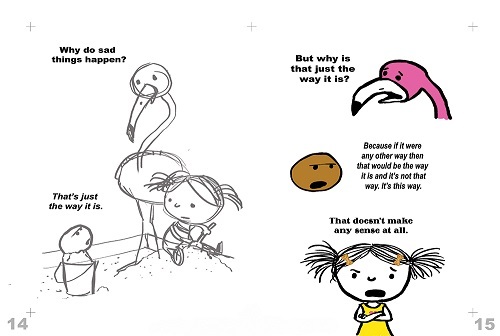 I decided to modify the appearance of this character a tad to give me more emotional options. 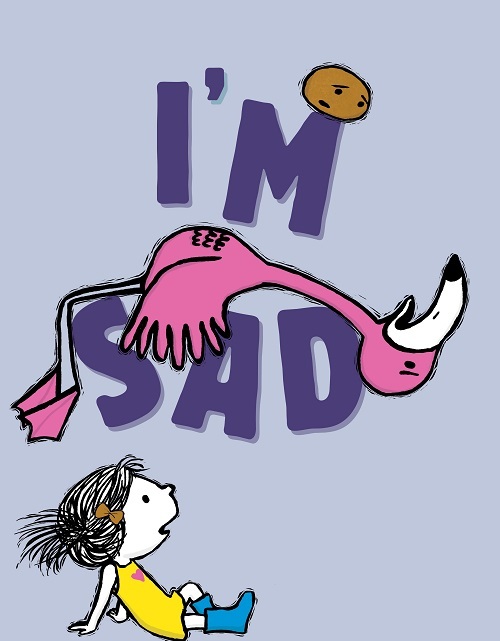 I’M SAD. 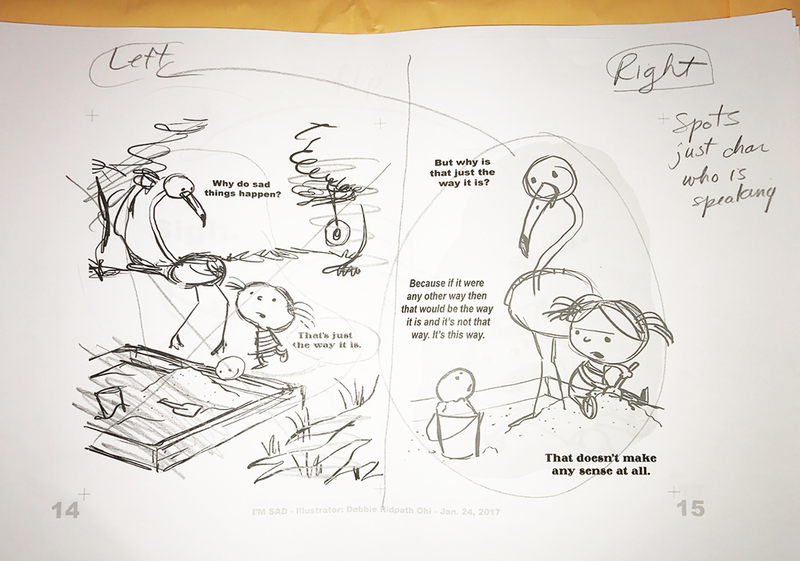 Copyright © 2018 by Hot Schwartz Productions. 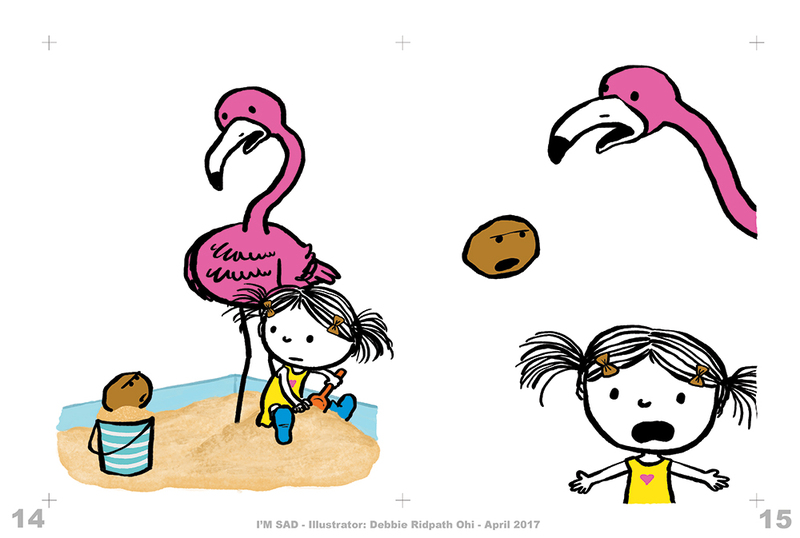 Illustrations © 2018 by Debbie Ridpath Ohi. 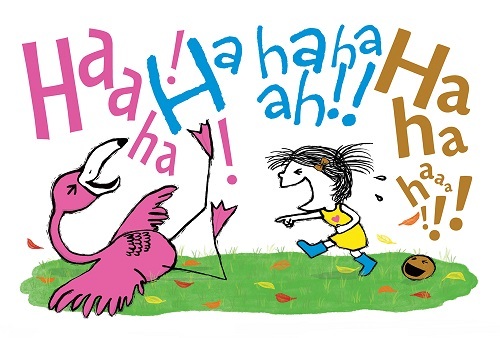 Published by Simon & Schuster, New York. 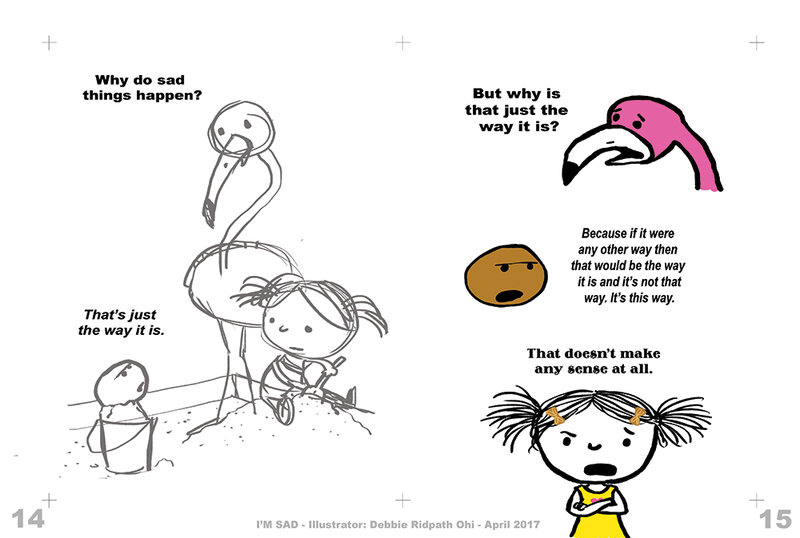 Illustrations and all other images used by permission of Debbie Ridpath Ohi.